The SLIM version for cultivation shelves made of compact aluminum profiles with two individually controllable channels for the calibration of the spectrum and luminous intensity as a function of the plant that we want to cultivate. It’s possible to obtain, in this version, three types of optical lenses to further improve the efficiency of the system: 120 °, - 60 ° or 30 °. The PRO version for greenhouses made with specific power LED for horticulture combined to our LED multi spectrum and controllable individually on two channels for optimal calibration of the emitted spectrum and brightness. In this version it’s possible to choose different optical configurations in order to maximize the efficiency under variations of the heights. 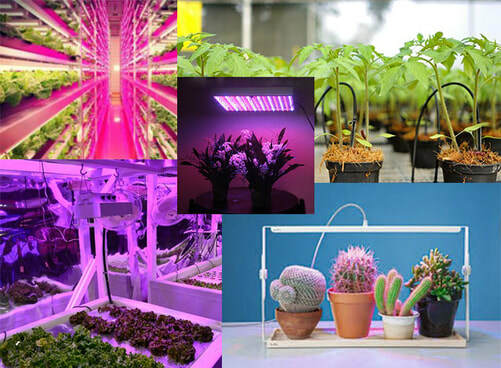 Flora LED is the first and only LED lighting system Made in Italy that integrates LEDs with specific spectrum for plant growth (multispectral) with other types of LEDs for horticulture. This allows a particularly stimulating light for the growth and health of plants, whether it be vegetables, flowers, herbs, etc. It's also possible to integrate the system with our Flora LED controller "Plant Care" that makes it possible to recreate the sunrise / sunset effects and adjust the light intensity and the light spectrum emitted by the LED through a simple graphical interface. 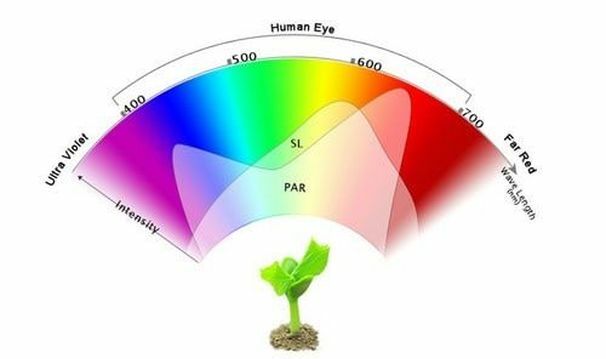 In addition, with the system Flora Care, it is also possible to monitor other essential parameters for plant growth such as: the temperature, the ambient humidity and the pH of the soil, but also the amount of daily light in which the plant is subjected, alerting in case the parameters prove at risk for the cultivated plant. Thanks to the high energy efficiency of the system we’re able to achieve better results: faster growth and increased health of plants with much lower energy consumption. The Flora LED system was created mainly for large farms which cultivate plants in large greenhouses and look for a source of efficient and exciting lighting for their plants. Models available: small pots and small greenhouses both created with a modern design. Do you want to develop a light dedicated to your specific plant by reducing waste and increasing efficiency and quality? We can help you designing the electronic circuits by using the Flora LED system in all sizes. Thanks to our LED range we’re able to create the right mix for you. Contact us and we'll create for you the most suitable circuit studying and testing it.